Three civilians were killed when a fire truck crashed into a passenger locomotive in Phoenix on Sunday, 7th April 2019. 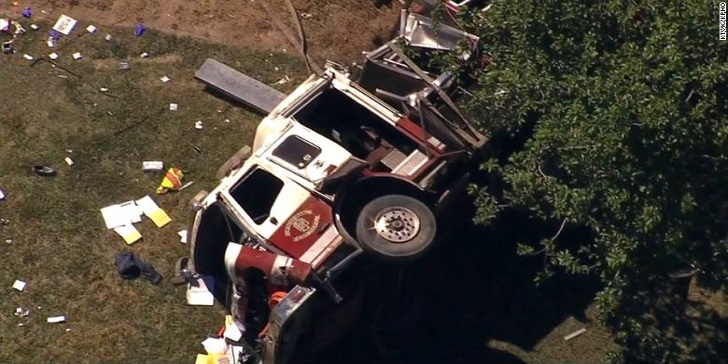 The police officials of Phoenix reported that the truck was on its way to put out the fire which had broken out nearby, but instead crashed into a pickup truck around 9:15 am (Local Time). The accident took place around the premises of the 29th Avenue and Bethany Home Road. Sergeant Vince Lewis of the Phoenix County informed the reporters that the victim was an adult female, male and a child of about 6 months old. The reason behind the crash is being investigated, informed the authorities. But again, I want to give our investigators the time to work through this. As per the report of KTVK, the fire truck had its lights and sirens blaring. Three firefighters from the accident were immediately rushed to a local hospital and by the evening their health conditions were stable. The footage received from the crash depicts the firetruck and the other pick-up truck with its rear end damaged.